This Video Proves That SRK's Best Role Is... As A Dad!! Shah Rukh is literally making us go "aww" right now! 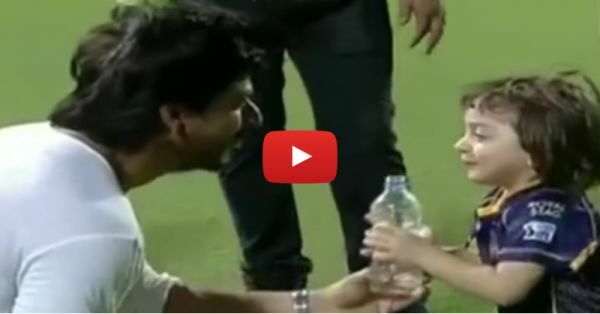 This video of him and his son AbRam is really TOO adorable. We can’t get over AbRam’s cuteness and we are convinced that SRK is the sweetest dad ever. We are having a hard time deciding who stole our heart between the two of them. We’re loving SRK a bit more after watching this video (if that was even possible)! Watch this video because this father-son duo is going to melt your heart… <3 PLUS: Subscribe to POPxo on YouTube for original videos + our favourite videos from around the web! MUST-READ: THIS Ranveer Singh Video Is Basically What Every Girl Dreams Of! MUST-READ: This Adorable Video WILL Make You Want To Hug Your Mom Tight!